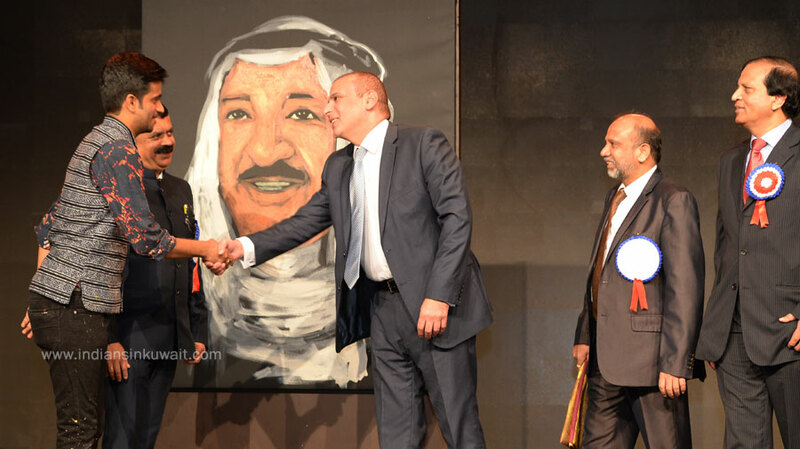 Indian speed painter Vilas Nayak enthralled the crowd at the annual celebration of Indian Doctors forum (IDF) Kuwait by painting the portrait of His Highness the Amir Sheikh Sabah Al-Ahmad Al-Jaber less than 5 minutes. The brush strokes and the music plays, the audience wonder what's happening and within the blink of an eye, he completes the most beautiful painting of His Highness the Amir of Kuwait. The event was graced by HE Mazin Essa Al Essa, the Under Secretary at the Ministry of Al Diwan Al Amiri, H E Sri K Jeeva Sagar, Indian Ambassador to Kuwait, and many other prominent Kuwaiti dignitaries and diplomats of various countries. 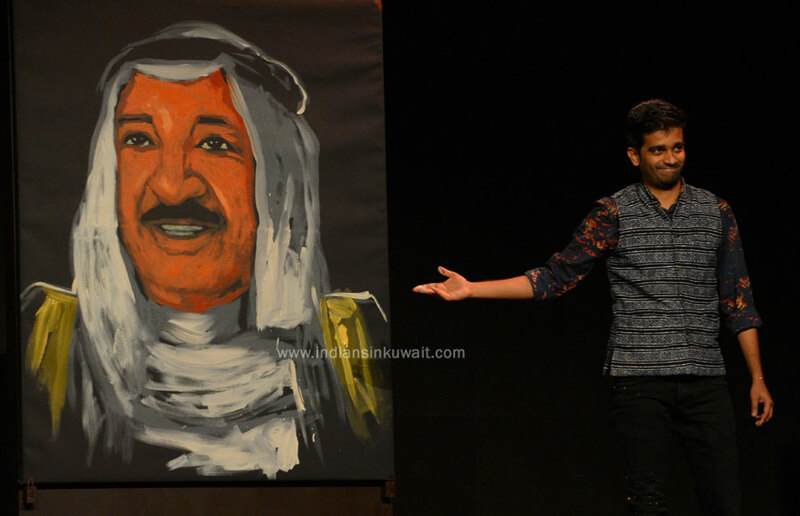 The crowd applauded the skill of speed artist Vila Naik with a thunderous applause when the painting turns out to be that of HH Amir within few minutes. He came to Kuwait exclusively to perform at Indian Doctors Forum Anniversary. As he completed the painting, Mazin Essa Al Essa personally appreciated him for his wonderful skill. Several Kuwaiti dignitaries among the audiences appreciated him for the beautiful work. Nayak, hailing from Mangalore, India is a self-taught artist. He has won world acclaim in speed painting as a participant in Asia’s Got Talent on AXN and Got Talent World Stage Live. He has performed in over 23 countries. Unbelievable skills. Great strength of his workmanship in Painting... Brilliant - Hats off to him on portrating HH Amir. Bets of Luck & Congratulation .